The latest launch from Kit cosmetics is Viva La Color, a fun-filled fiesta inspired collection that injects vibrant colours into your makeup - something we all look forward to in our deary cool winter and would bring a smile to anyone's face. And the best way to brighten up a smile is with pure pink goodness of a bright lipstick so it's just perfect that these limited edition Viva La Color collection has this perfectly paired lip duo kit. Contains: Lipstick in Show Stopper & Lip gloss in So Onto It. 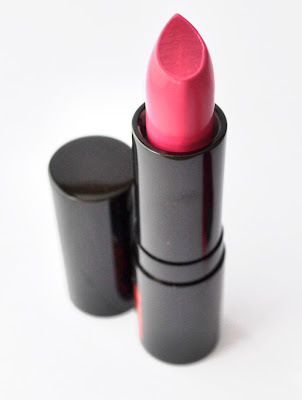 No introduction required for this alarming pink shade. 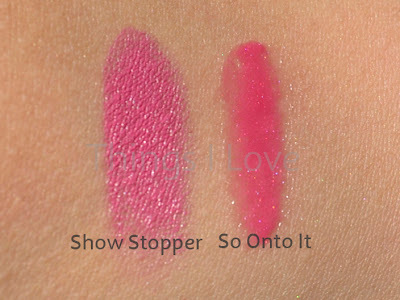 Show Stopper just screams PINK on top of its lungs and Barbie or anyone with cool or neutral skintones will definitely look good with this on. Warmer skin tones may find it too contrasting against the skin but would get away with it as a party look. 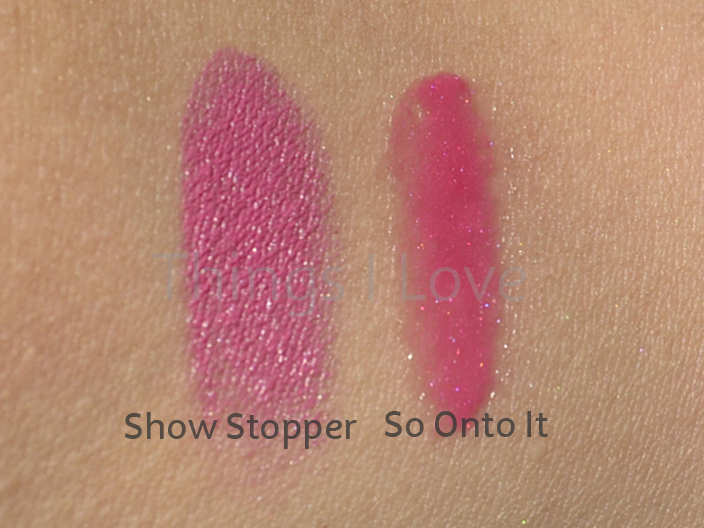 On my more pigmented upper lips, it has a light purple tint when viewed in some light as seen in the swatch below. 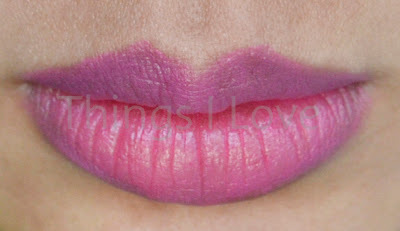 On lighter or pink tone lips (my lower lips), this comes off a beautiful bubble gum pink. Loaded with pigments, the colour payoff is fantastic and 1 swipe will give you opaque colour true to tube. Pretty on its own, it warms up and looks even better on me when I pair it with So Onto It lipgloss. 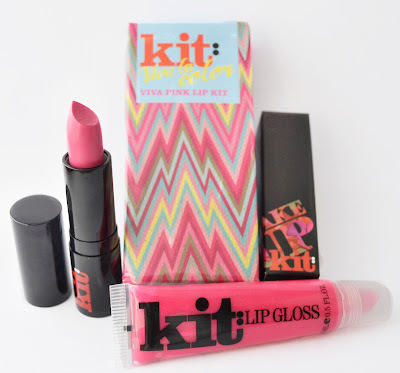 Kit's lip glosses are quite thick but luckily it doesn't share the sticky tackiness that many thick lip glosses suffer from. There is some serious pigment overload here, if I didn't apply the product on to lips myself, I could be fooled into thinking that the colour payoff was a result of a slick gloss over a lipstick. Mind-blowing! Bright raspberry pink, it tastes like yummy cotton candy from carnivals. Brimming with high shine and ultra glossy, the pretty pink shimmer catches the light and put pouts into lip envy 3D modes. Perfect on its own or jazz up any lipstick with this pretty powerful pink gloss. 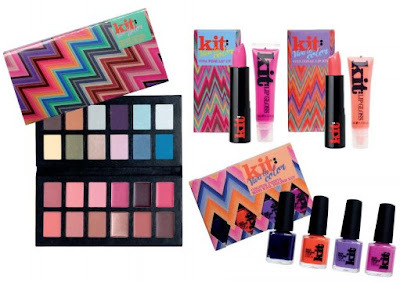 RRP A$29.95 at Kit counters or Kit Comestics online for a limited time. This post features a product provided for consideration. @katherine, the Kit lipstick is made in USA so maybe there is hope. Will have to ask for you whether they sell in the US.